Whether you’re a seasoned traveler looking for your next adventure or planning your first international trip, here are five trip ideas to explore. In Peru, I’m loving the new Belmond Andean Explorer, a sleeper train which travels from Cusco to Lake Titicaca, and on to the city of Arequipa (or reverse). The train itself is a picture of luxury, with stylish décor, world class dining and top-notch service. The cozy cabins are well appointed, featuring local textiles and en suite facilities. 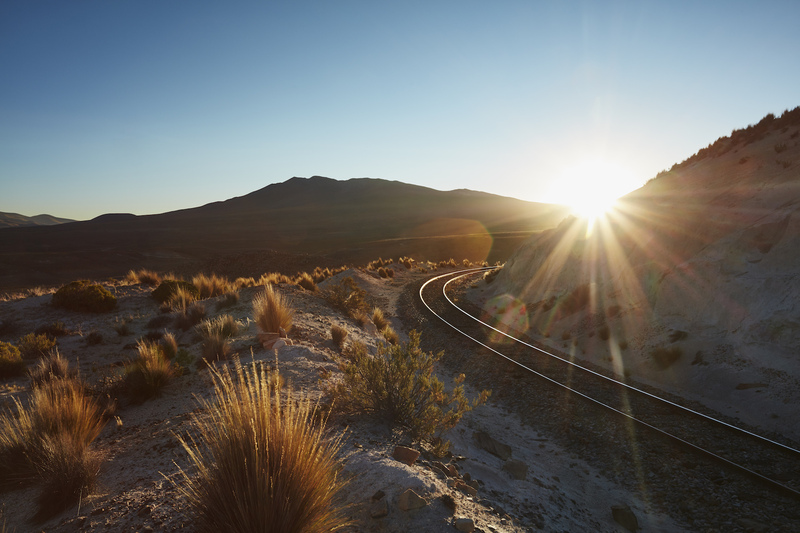 But this trip is about more than the train itself: the route is among the world’s highest in altitude, traveling through remote Andean plains and taking in the local culture along the way. In addition to two nights on board, spend a day experiencing some of Lake Titicaca’s highlights, visiting the islands of Uros and Taquile for a first-hand look at the traditional way of life still maintained here. The route concludes in the “White City” of Arequipa, among Peru’s prettiest and off the typical tourist track. This is also the jumping off point to Colca Canyon for spectacular scenery, archaeological sites, hot springs and a chance to see the iconic Andean condor. Spend a couple of nights at Belmond’s Las Casitas, or the charming Colca Lodge, to cap off the experience. The Andean Explorer is an ideal extension for a visit to Cusco and Machu Picchu or a return trip to Peru for those seeking a more in-depth culture and nature experience. Last year, I was lucky enough to add a completely unique experience to my list of adventures in Africa. I spent four nights on the idyllic shores of Lake Tanganyika. While this was a lovely experience, the true beauty lies within the surrounding Mahale Mountains – the chimpanzees that call this area home. Chimpanzee trekking is the perfect add-on to a “typical” safari experience in Tanzania. This trekking experience is starkly different from the often sedentary animal viewing in the rest of the country; it’s an exhilarating way to get active after many days sitting in a vehicle. Keep in mind that the trekking can be tough and at times, you may be using both your feet and hands to get past trickier terrain. You get to spend up to an hour per day with these fascinating creatures, which may lead you to ask, “How will I spend the rest of my time?” Depending on your style, you may choose to sit with a book and enjoy the peaceful landscape or to swim or kayak in the lake! I love being on water, so I spent time on their boat as well as relaxing on the beach. The accommodations are rather rustic and located right on the beach, which I loved. If this type of trip intrigues you, I recommend reading my blog about this experience as well! One of my favorite “ideal escape” journeys to recommend to clients right now is Myanmar, specifically a visit to its Mergui Archipelago. This idyllic group of mostly deserted islands is located just across the Thai border and has only been opened to foreigners as recently as 1997. Today it remains largely unexplored and one of the most unspoiled destinations on the planet. Days are spent on white sand beaches lined with palm trees and dense jungle and snorkeling in azure water amongst colorful fish to explore the abundant reefs and caves. Wave to the occasional fisherman passing by on a dugout canoe or pay a visit to a local Moken village. The Moken are the indigenous population of this area sometimes referred to as “sea gypsies.” For nature lovers, discover the exotic flora and fauna in the Lampi Marine National Park including three different species of sea turtles. The Mergui Archipelago may be paired with Phuket in Thailand or with other destinations in Myanmar (or a combination of both) to create the ultimate mix of culture and discovery. Explore this uncharted aquatic haven by boat or with a stay at a new luxury lodge (opening December 2017) offering luxury tented beach villas and treetop suites! The Atacama Desert in northern Chile is one of the most arid deserts located outside of polar regions. I love it for the huge landscapes and the terrain that can look somewhat like Mars in areas (several science fiction films have used the Atacama as a set), and then change into a surprisingly lush river valley in just a short distance. Some of the guided activities in the Atacama include visiting the salt pans to see flamingos, horseback riding, hiking and stargazing. In fact, because of the altitude, dry air and lack of cloud cover, the Atacama is one of the best places in the world to take in the celestial scenery. The Atacama Desert is a great fit for active travelers, and best paired with Santiago and the Patagonia region of Chile for a comprehensive experience with a lot of variation in scenery and experiences. The best time of the year to visit is typically June through April (November through April if you plan to pair it with Patagonia). For more information, read about my 18-day trip to Chile! If any of the above travel experience interest you, contact us for more information or to begin planning your trip! Looking for something else? We’d love to share other trip ideas, recommended just for you.